Trapped Nerves are a fairly common occurrence and around 80% of all people will experience this unfortunate condition at some point in their busy lives. 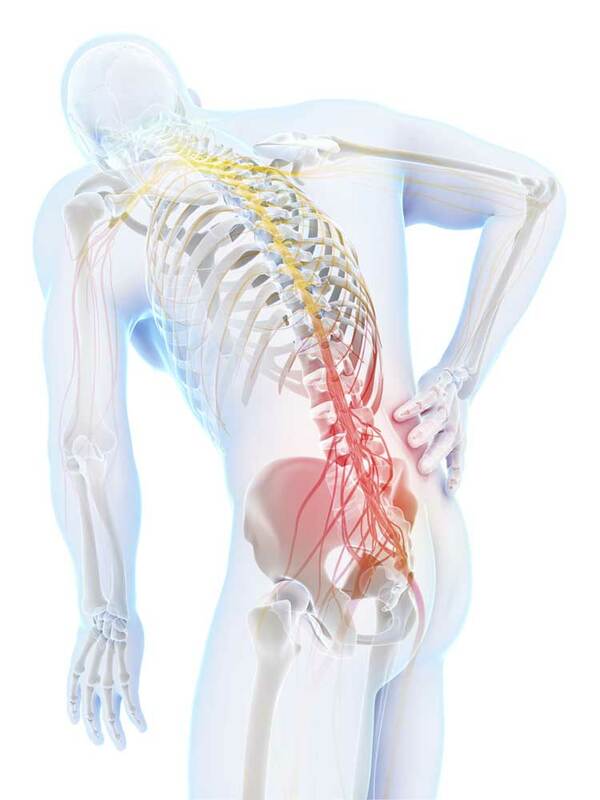 A trapped nerve usually occurs as a result of a vertebra moving out of alignment in the spine. This puts uneven pressure on the intervertebral disc causing it to become a bulging disc, prolapsed disc or even a herniated disc if the problem is allowed to persist. The effects of a trapped or impinged nerve are wide ranging, as is the level of pain, discomfort and incapacity that goes hand in hand with conditions related to trapped nerves. However, if a trapped nerve is affecting you, it’s important to know that I can help you. I successfully treat a wide variety of conditions all initiated by a trapped nerve. Using my unique treatment programme, I work to make you comfortable, reducing the pain and discomfort before I make the necessary adjustment to your spinal alignment, releasing the nerve and allowing your body to begin its own natural healing process.